The 2018 Five Star Professional award winners have recently been anounced. I am proud to be recognized for professional excellence and providing quality services. Most importantly, I am very grateful to my clients. Thank you! Each year, the Five Star Professional research team contacts thousands of recent homebuyers, consumers and industry leaders to identify Seattle-area real estate agents who stand out in their industry and community. The 2018 recipients will be in the December edition of Seattle Magazine. additions can affect your home’s value, you don’t need to add a new pool to improve your home’s desirability. 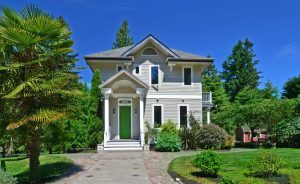 In fact, improving your home’s curb appeal through relatively low-cost, but simple, changes, can significantly improve its standing in the market. A curbside “face lift” is always money well-spent, whether prepping to sell your house, increasing its equity-value, or just for your own benefit.